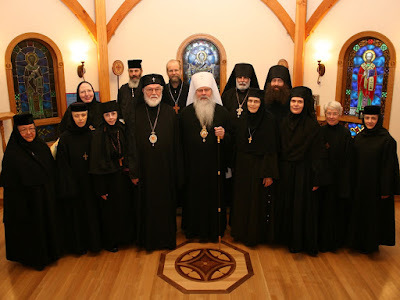 The monastery hosted the 3rd annual Synaxis of monastic superiors under Metropolitan Tikhon. The gathering was held October 25th-27th. Twelve monasteries were represented at this Synaxis with Metropolitan Tikhon and Archbishop Nathaniel was also in attendance. Fr. Michael Senyo served the Vigil for St. Demetrius and His Eminence, Archbishop Nathaniel served the Divine Liturgy.